You are here: Home » Laissez-Faire or Fairly Lazy? We have, as I’ve mentioned before, a fairly laid-back approach to schooling. Of course, my motto (or one of my mottoes; I’m as fond of mottoes as the Duchess in Alice in Wonderland was of morals) is do what works for you. 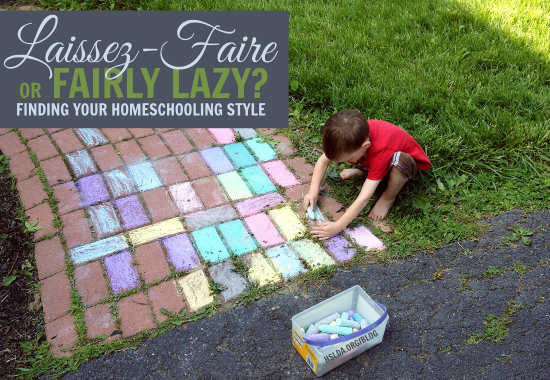 Right now, a flexible homeschooling approach works wonders for the smoothness and serenity of our lives. My homeschooling philosophy is partly colored by my laissez-faire approach to projects in general: Don’t let the perfect become the enemy of the good. My life will never be organized enough, peaceful enough, or tidy enough to permit me to devote all the time and effort I’d like to researching, tutoring, drilling, reviewing, and correcting schoolwork. For us, a little planning goes a long way. Indeed, in a busy household with so many little people, it has to. Actually, there was a very short period of time some while ago when we had a consistent school schedule five days a week. We started after the breakfast chores were done with prayer, flag salute, singing a hymn, and studying a few Spanish words together before I took turns sending one older girl off to read to the younger children while I worked with the other older one on reading and math. It was a nice schedule, but it still didn’t require much advance planning because we pretty much relied on the resources we had on hand. If we had waited to “get serious” about our homeschool schedule until we could afford a more comprehensive curriculum, our enthusiasm and energy levels probably would have long since peaked and we never would have implemented said curriculum to our best advantage anyway. Indeed, that regimented schedule was soon disrupted by an unexpected move. And with all our books packed up for an indefinite period of time, we quickly turned to the Charlotte Mason method (lots and lots of books from the library). Of course, if I am ever tempted to despair over our eclectic learning style, I consider that it is impossible to know everything; ergo, every method of teaching will inevitably leave holes. We’re just being intentional and up-front about our decision to give Latin a miss for now. I look at the example of Laura Ingalls Wilder, who (according to On the Banks of Plum Creek) by the age of eight barely knew her letters and had yet to read words. Yet by age fifteen, she was giving dissertations on history by memory, performing long division in her head, and diagramming complex sentences aloud for the school exhibition (Little Town on the Prairie). Apparently, one doesn’t need to be a child prodigy to end up with a fairly comprehensive and well-rounded education. Photo Credit: Taken by Rose Focht, edits and graphic design by Charity Klicka. 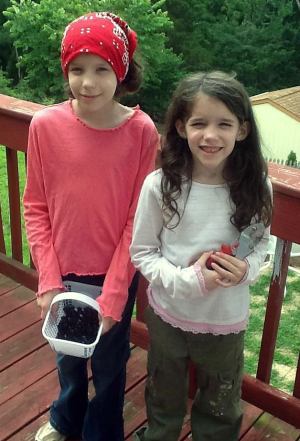 ← Our Homeschooling Journey | Introducing Rose Focht to the Blog!